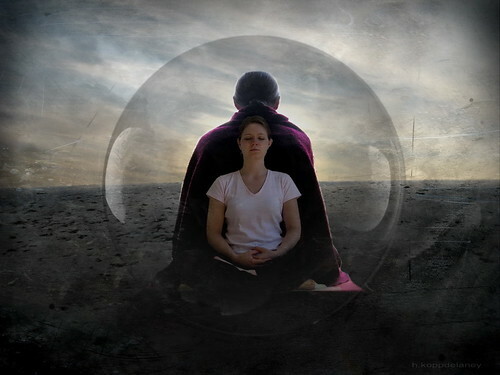 Meditation is one of those practices you find in yoga retreats and Buddhist temples. You know about the benefits of meditation and you want to do it, yet you don’t. It’s one of those things which quietens your mind and allows it to run free. With a free mind comes a lack of discipline, so it inadvertently leads to people avoiding it completely. To help you get motivated for regular meditation, here are a few ways which you can make it more enjoyable. Whenever we think of meditation we think of the lotus position and a person sitting with back straight and breathing with a solid rhythm. This isn’t the only way to meditate. For many people, the traditional meditation position is uncomfortable and difficult to relax in. This breaks the fundamental foundation of meditation. You should be comfortable and relaxed. Try to meditate in another pose. Sit in a chair and just close your eyes. Lay on a sun lounger with a blanket on top of you. As long as you keep your spine straight and everything is aligned you can choose whatever position you want. We occasionally need help to meditate as we just can’t get into it. Consider bringing a fellow meditator home with you. Share a meditation session and chat about things afterwards. Incorporate a friend coming over with meditation. We tend to do better when we’re following what someone else is doing. Moral support works wonders! Another option is to breakout the trust CDs. Put on a favourite piece of music and whisk yourself away to a land of Zen. Ensure it doesn’t have any lyrics or you won’t be able to concentrate. The slower and smoother the better, but everyone differs in what helps them relax. The knowledge of receiving a reward from meditation can help us perform better. The feeling of Zen acting as a reward doesn’t always cut it. Have something tasty to eat afterwards, or hop into a steaming hot bath with some scented candles (which you can also use as a setting for meditation). One way to make meditation easier is to concentrate on your breathing. Count the breaths as they go in and out and wait until you get to 100 before taking a break. Increase or decrease the speed at which you breathe at depending on how long you intend on meditating for. It gives you a point to focus on. It’s why a lot of instructors tell beginners to do this. After completing exercise we want to relax and calm down. Instead of warming down by collapsing onto the sofa, get straight into your meditation. By incorporating your need to warm down and your need to meditate, you’re making the process easier on yourself because you actually want to do it. It also helps people with limited periods of time. If you work long hours, meditation is normally the first thing to go. Combining it with other activities is a fantastic way of making sure you get your daily dose of peace and tranquillity. Author Bio: Lisa Melia is a health fanatic and freelance writer, she gets to enjoy the best of both worlds by writing about her favourite topic for http://www.anamayaresort.com/.